Thanksgiving is a time for celebration and reflection. It’s the perfect excuse to relax, bond with family and friends, and enjoy delicious food. Unfortunately, many people overdo the partying and choose to drive under the influence, and this causes thousands of injuries every Thanksgiving. Alcohol and driving simply do not mix. More than 9,960 Americans died in car crashes involving a driver who was over the legal BAC limit in 2014. That accounted for 31 percent of the year’s traffic fatalities. The risk of being in an accident with a drunk driver is even higher on Thanksgiving – and that’s not the only danger over the holiday period. According to the American Automobile Association, just shy of 47 million people will travel 50 miles or more over the long weekend. The combination of traffic congestion and drivers on unfamiliar roads is a recipe for car accidents. 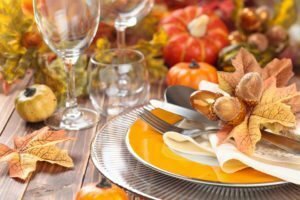 If you or a loved one suffers an injury over the Thanksgiving holiday, contact the Troutman Law Office. Matt Troutman is a personal-injury lawyer in Louisville who will help you claim the maximum compensation for health-care bills, lost wages and non-economic damages. If your case goes to trial, Mr. Troutman has the litigation experience and resources to represent your interests in court. Call to schedule a free case evaluation. Watching football, relaxing, enjoying outdoor activities – there are plenty of ways to celebrate Thanksgiving. It is important to remember, though, that the holiday weekend comes with certain dangers. Find alternative transportation if you plan to party. Look for a sober driver, use a ride-share app or call a taxi. If you are hosting a party, it is important that you prioritize the safety of your guests. Ask people how they intend to get home, and make sure nobody plans to drive drunk. If possible, arrange an area where people can stay the night. Make sure you have taxi numbers available in case a designated driver has one too many. Millions of people use the long holiday weekend to visit family and friends. With more vehicles on the road comes a higher risk of crashing. Remember to drive defensively. Try to anticipate the actions of other motorists and avoid dangerous situations. Plan your route if you intend to drive on unfamiliar roads, and keep your distance from drivers who show signs of intoxication. If you or a family member sustains an injury over the holiday weekend, contact a Louisville accident attorney from the Troutman Law Office. Matt Troutman will evaluate your case, interview witnesses, assess the police report, and help you fight for the maximum compensation. Mr. Troutman will handle the legal aspects of your claim so you can focus on recovering from your injuries. Call today to schedule a free case evaluation.